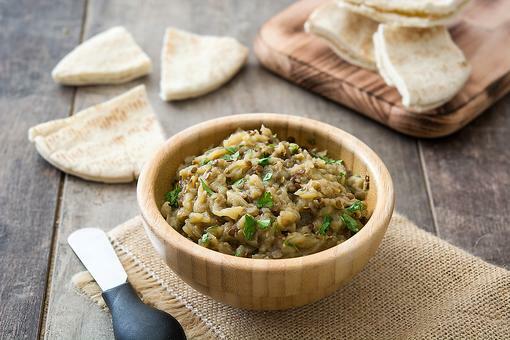 Baba ganoush is made with aubergines, tahini, pine nuts and plenty of garlic. 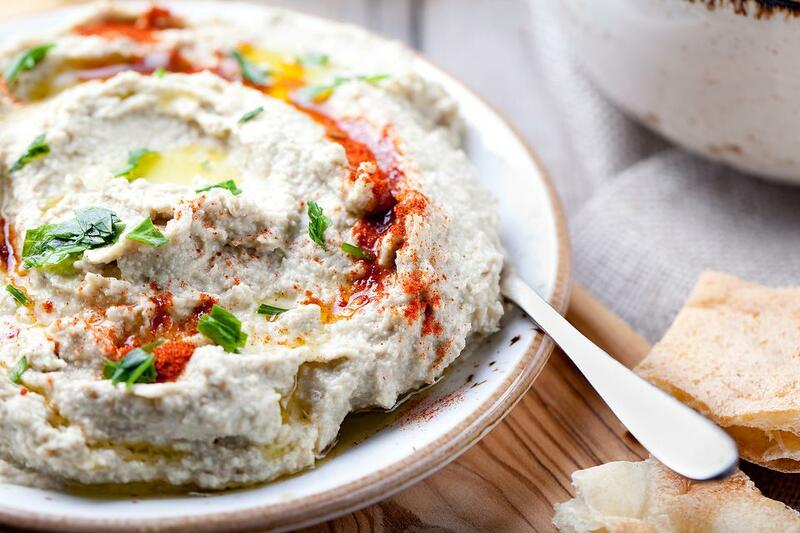 There are so many ways to prepare aubergine, but my favorite is this smokey, rich and creamy dip hailing from areas of Mesopotamia. Lightly oil the aubergines. Place them on a hot, well-oiled grill. Cook for 20-30 minutes, turning often until well charred and completely soft. Cool, split them open length-ways and scrape the fleshy meat into a bowl. 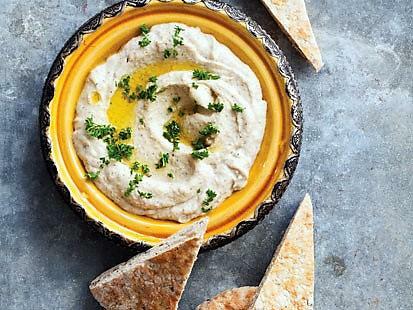 Place aubergine flesh in a food processor with garlic, tahini, lemon juice and olive oil. Pulse. Season with sea salt, to taste. Place butter in a small pan and bring to a very low simmer. 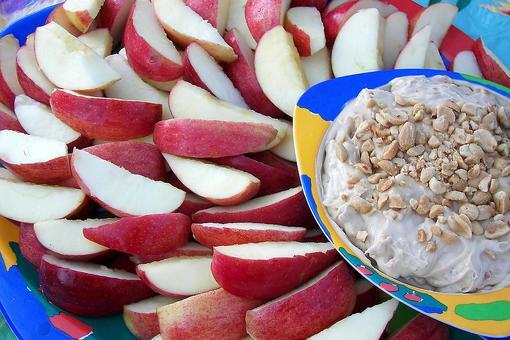 Use a spoon to discard any white milky fat solids that rise to the top. Place the eggplant mixture in a shallow bowl and run the back of a spoon over the top in a spiral or a zig-zag formation (like frosting a cake). Pour the warmed clarified butter on top, taking care to leave white solids behind in the pan. Garnish with toasted pine nuts, chopped parsley, chopped chives and dust with smoked paprika. Serve with flatbread and a variety of freshly cut raw vegetables. Also delicious on roasted meats. Yum! I love eggplant, and will be trying this recipe very soon. Thanks, Chef Gigi Gaggero !